Yay! 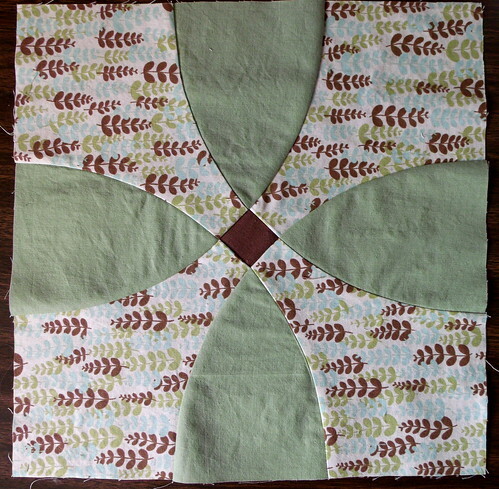 Now I need to trim it to a rectangle, figure out what I want to use for the backing, quilt it and bind it. 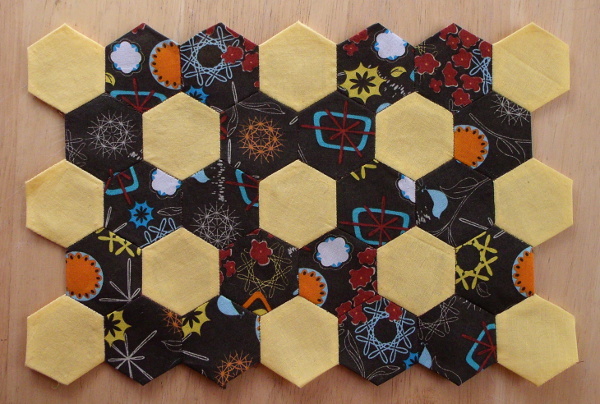 I keep being surprised at how quick and painless hand-sewing these hexagons was. Although I like embroidery, for some reason I have a thing about sewing things together by hand — I get freaked out by it and think it’ll be a huge ordeal. But this went pretty quickly, about four evenings’ worth of TV time. I’m getting better at it, too. In about the first half, my stitches are pretty noticeable, but by the end they were mostly hidden. And I should be done with the surveyor’s compass block today! I finished paper piecing the individual sections yesterday, just need to sew the sections together. Oh, and remove the paper backings. After I eat lunch I’m planning to finish it up, so I might even be back with a photo today if I have enough time. 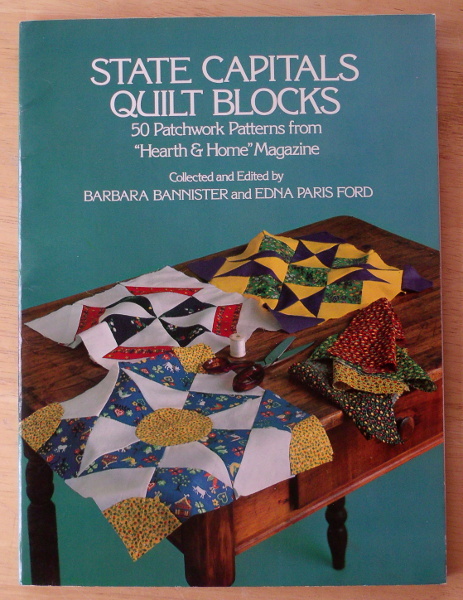 Recently I found a copy of the Hearth & Home state capitols quilt block book at a used bookstore — yay! There are some great blocks in here. 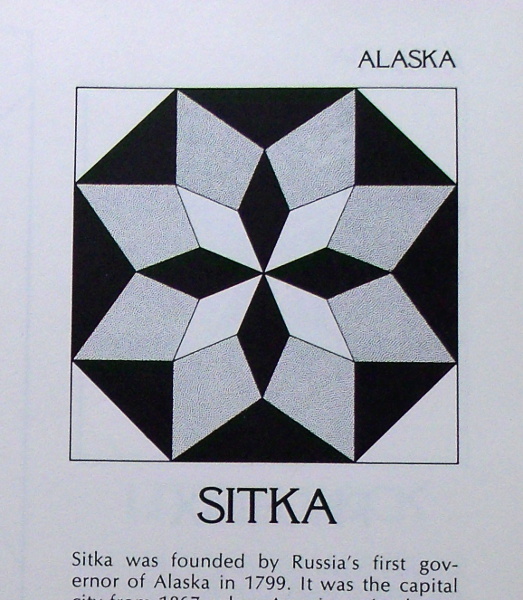 I really want to pick up a copy of the United States Patchwork Pattern Book, too. (Flowering snowball tutorial from Molly Flanders.) That was one of the skill builder sampler blocks. 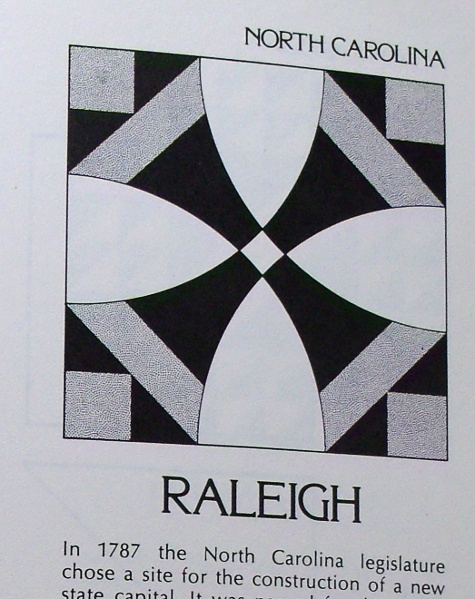 The Raleigh one is trickier, with pieced sections in addition to those curved seams, but so pretty.